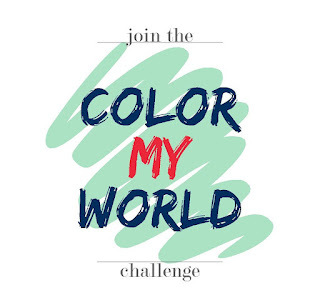 Well it's week 4 of the Color My World Challenge where we're supposed to incorporate our color into a room in the form of fabric. I was doing so well with this challenge, and then it happened. My business trip to Boston and my legendary indecisiveness got the better of me. I need a window covering (fabric), possibly a sink skirt (fabric) and if I'm feeling ambitious, an ironing board cover (fabric). Unfortunately, I didn't have time to tackle any of this, not that it mattered since I haven't even picked a fabric yet. At first I was thinking black and white fabric like this. I love this one. Sorry for the picture but the room is already a bit dark and there's no electricity yet and on top of that it was a cloudy day...the terrible picture taking trifecta! I may end up with the above fabric, but then I went in the room today and it just felt like it was in need of some color (it would still mainly be black and white, but it's looking a bit stark without a much needed punch of something). Specifically the color green. Actually I think a floral would be better so it's not so geometric with geometric. So, I'm back to square one...maybe. I could stick with black and white and just do some storage boxes in green, or I could do green fabric or maybe even a green backsplash (if that's even the route we're going). Not even sure what color green I like...Kelly, Chartreuse, Apple? I love green, but not usually in home decor so this is like a challenge within a challenge. I'd better come up with something quick though since I'd really like to finish the challenge and the room;) What do you think? I hope my fellow bloggers had better luck with their fabric challenge (I'm sure they did!). Make sure to check them out. I always struggle with fabric too. It makes such an impact so you want to be sure. I partial to the first geometric you posted. I used the same pattern in a different color for DIY curtains and its subtle enough without being dull. We're in the same boat about not finding the right fabric... But at least you have some options you like! Haha, come on over...I am sure I have something you will like. Then again, I never have the perfect piece for my project, either. Loving the trellis print! That is my pick! I had a similar post today - still deciding on fabric. Fabric can be a tough dilemma. Hi Tiffany! I love the black & white toile print. The walls are so amazingly crisp and modern with the black and white stripe that to me, the windows need something soft. I think a small print would be easier on the eyes while providing a focal point away from the stripe. If you used the toile you could always add a colored trim or band of fabric in a color. 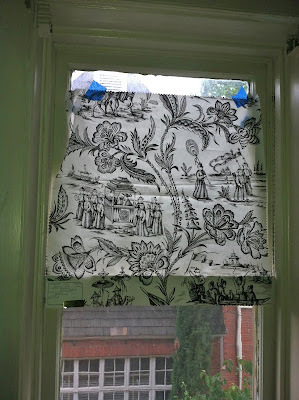 I like the toile...what about that pretty pink and green fabric you posted about last week? I am similarly dithering over the fabric in my playroom...I have narrowed it down to two fabric but can't pick one, nor can I decide which type of window treatment to do over the slider, so...yeah. Procrastination for the win. The chinoiserie fabric ROCKS! You have to use it! What is the name of it and where can I get some of my very own? Tiffany, I like the black & white fabric you chose - what about adding a wide grosgrain ribbon in green at the bottom, or along the sides and bottom?? That might give you that pop of green you're looking for. I love all your fabric ideas, I can see why you have a hard time deciding, lol! At least you probably can't really go wrong with any of them! Oh man, I think all the ideas sound great, I am just as indecisive as you. Lol. I'm sure whatever you go with will be great! The cross section in green is wonderful though but so is toile. I didn't have anything this week either so you weren't the only one! Next week will be extra fun to see what we all did! I have the crosshatch in charcoal on my living room windows and an ottoman and love it! It's such a great fabric. But, I'm really loving that last trellis in the space! Because I find I spend more time in the laundry than I would like - I make it pleasant, uncluttered and bright. Orange/Corals and white are my basic 2 colors then pictures and floral arrangements are the "change in color". I have had white walls & coral trim, then a Coral Chrysanthmum wall paper (which was a real WOW! look - clinched the sale when we sold it.) and now coral walls, white trim and pictures of "modern art" on the walls. Decor of house is very traditional with antiques. Make it what you like. 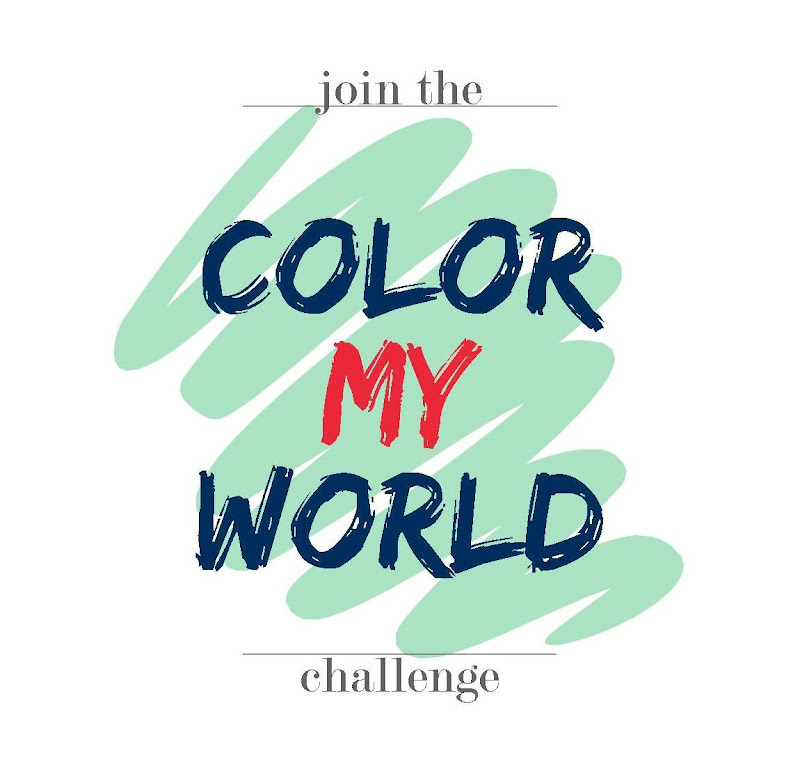 I personally do not like to "completely redecorate" so I try to keep the things that stay a long time in basic colors and neutral if I can and things that are easily replaced, painted or reupholstered or the bold or "pop" colors. Right now I'm liking white on white, with burgundy & green as the added colors in a Great room that is kitchen, dinning, breakfast, living, foyer and sitting room. I'd do the black & white toile fabric, add a picture or vase with "color" that has some black in it but mostly the POP color. I bought several fabric boxsets - two in velvet, one is satin and another had antique cars. Love them as "Decor" and Storage. Love your site. Found it searching for DIY laundry rack for my laundry. I too have been looking at Ballard's. Could not justify it as a metal gold color- heated towel rack (that also drys clothes and heats the towels) in my master bath only cost me total $200. (Cost, S&H, Taxes).